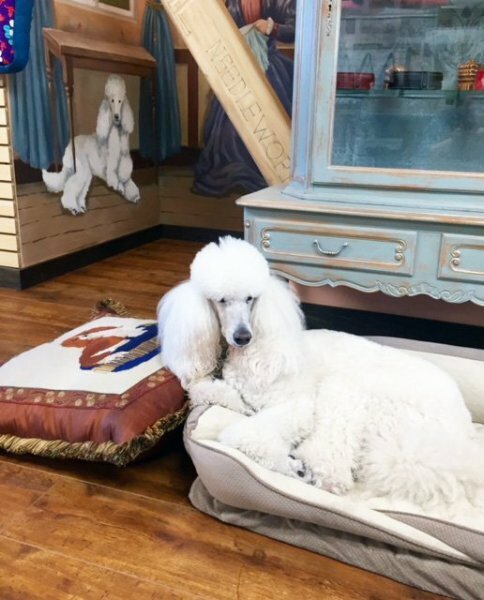 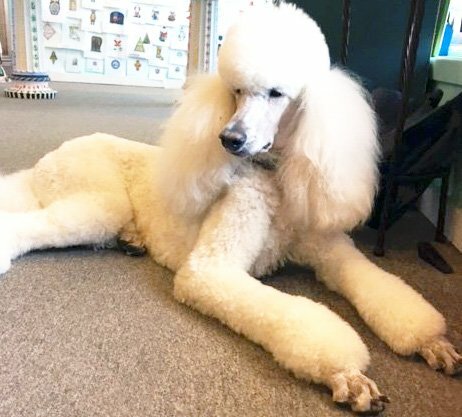 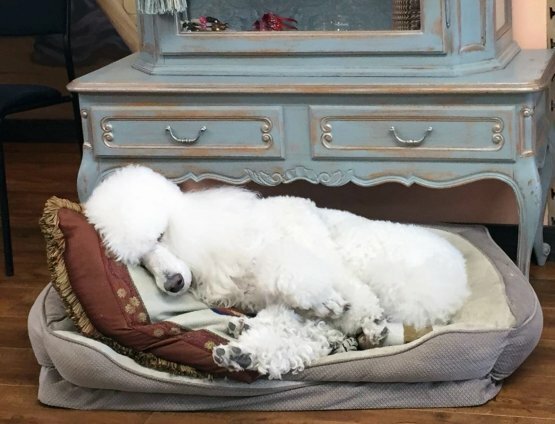 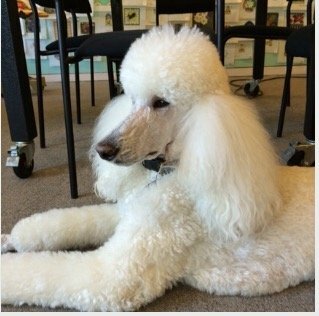 Darcy, our shop dog, is a noble and intelligent white standard poodle. 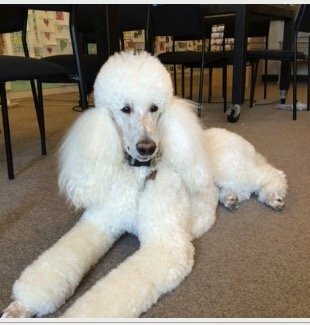 Friendly and sweet, Darcy is a joy to pet with his velvety soft and puffy coiffure! 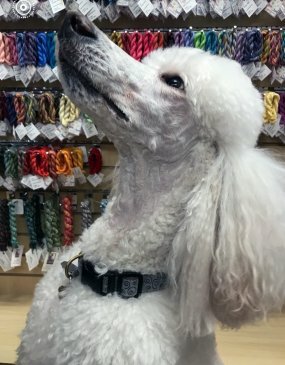 Darcy will be glad to see you and he welcomes you to Chandail! 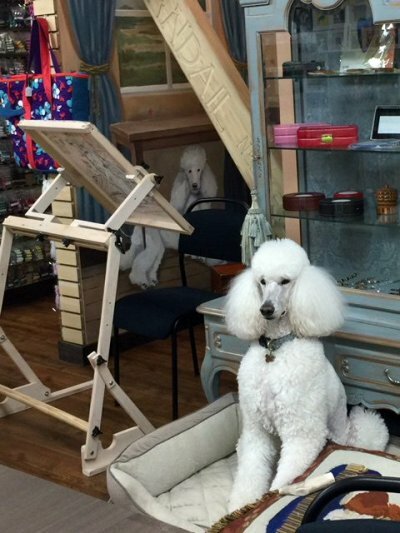 Darcy and his mural portrait at our new location! 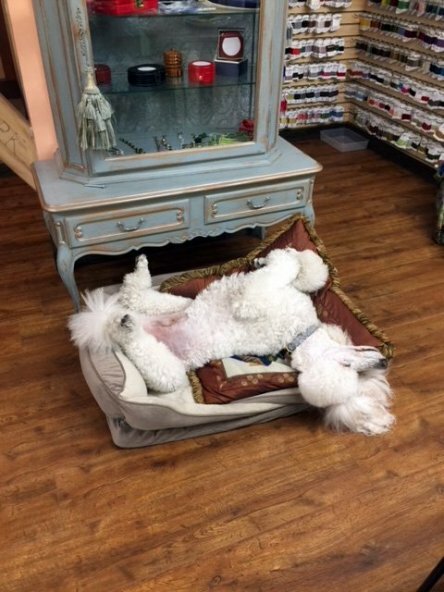 Darcy is just a little comfortable with his pillow in his new bed at the new location!!! 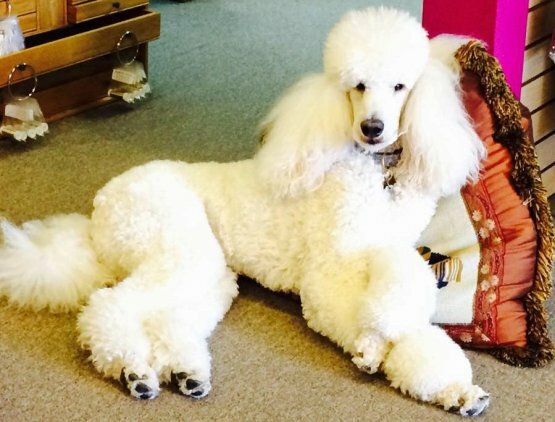 It has been said that poodles are non-allergenic since they have hair not fur and rarely shed!